Warm Springs’ talented team of engineers and testing professionals can utilize a variety of specialized equipment found in few manufacturing plants. 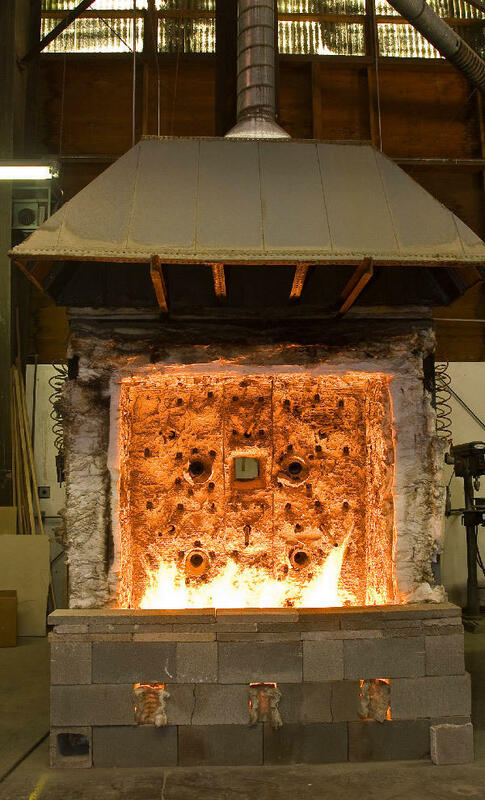 Our 56” X 72” opening wall furnace, which reaches temperatures to 1,832 degrees Fahrenheit (1,000 degrees Celsius), can be used to pre-test and evaluate products for fire rated openings prior to full-scale certified testing. This can be invaluable in developing new products. We also offer screw test retention with our in-house screw withdrawal equipment, compression testing and other substrate testing machines as needed. Single and multiple opening presses are available for both cold and hot pressing. Single substrate or multiple layered products can be pressed and evaluated for internal bond, strength and viability in specialized markets. At Warm Springs Composite Products, we are continually testing new ideas and materials to provide the highest quality products for an ever changing and demanding world.